I think it is amazing at how pigmented these trios are – for under $3.00 they are a steal! If you haven’t tried them or used them for awhile – go back and check them out. I think you’ll be impressed! 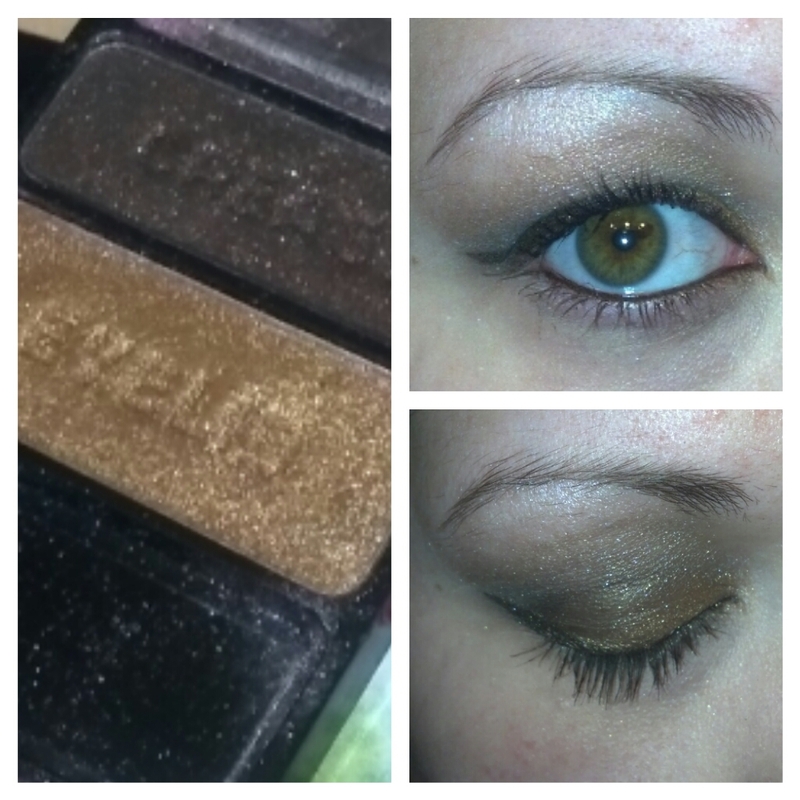 First off I started with my VS Pro Eye Primer, and then put the gold shade all over my lid and up into my crease. Next I took the dark brown shade which comes out almost black on my fair skin and put some in the crease and blended it out. Then I went back in with a bit more gold to balance it out and put just a little white along my brow line for a highlight since mine was smashed! I also tightlined with it – after working the liner color into my lash line it sort of transferred to my lower waterline on its own so I finished the look. (Confession…this is the first time I’ve ever tried this and kind of liked it.) Finished with a couple coats of Maybelline The Rocket and the look is complete. This is one of my new favorite looks – I’m not sure on tightlining again since it made my eyes pretty sensitive but the gold and brown combo was a fun look that I think will be making its way into my normal routine!